How often do prospects delay on making a decision? Perhaps that’s because the decision is too big? If so, it’s time for micro decisions! 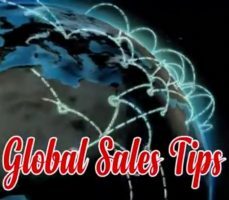 Andy’s Global Sales Tips are filmed on Andy’s travels on whatever equipment is close to hand! Be that Phone, iPad, DSLR or whatever. We’ve gone for ‘quality of information’ over ‘quality of video’ in most cases. More professional quality videos and clips are on other playlists on Andy’s channel. This is about quality of information and speed. The video below is a YouTube video. If you are one of our clients that has YouTube blocked, Contact us here if you have any problems accessing these. Enjoy!